As a lover of Italian food, I can’t think of many things better than pasta…except for 3D printed pasta, of course. Well-known Italian food company Barilla has been busy developing its own pasta 3D printer, and it even held a contest three years ago with a goal of creating fun new shapes of pasta using 3D printing technologies. In fact, the company’s first 3D printed pasta design contest went over so well, it decided to hold another one, with the help of open innovation design platform Desall, and sent out the call for submissions a year ago. Entries for the Smart Pasta competition, consisting of a 3D printable design to be realized in pasta form and a brief explanation, were accepted until March. Entrants were encouraged to consider such design criteria as how its geometry could affect flavor and texture. In addition, Barilla is also offering a €1000 option right for any designs, regardless of if they win, that the company is interested in purchasing for commercial use. The winners were supposed to be announced in May, but it took a few months longer to finally determine the three winners; I’m guessing that has something to do with the fact that Barilla and Desall received nearly 1,200 entries from 680 designers, in 124 countries. “The competition was in itself very appealing: the idea of designing new shapes of pasta to be 3D printed with an exclusive 3D printer specifically designed for the purpose introduced a series of challenges that arose the interest of the participants, that interpreted the request from different perspectives and with great creativity,” Desall wrote in a blog post about the winners of the Smart Pasta competition. The first, second, and third place winners have finally been announced, and their designs are, in a word, breathtaking. 26-year-old freelance Italian designer Andrea Anedda won first prize with his Turbine design, a revisited version of the popular fusilli pasta, which features a corkscrew design. “When I first saw the Barilla SMART PASTA contest I immediately found it interesting and I thought I could give it a chance,” Anedda said in a comment to Desall, which the company shared with 3DPrint.com. Anedda went on to say that he asked his mother, whom he calls “the best cook of the world,” what exactly makes pasta perfect, and realized that he needed to focus on a shape that would keep the pasta and sauce together. Cornelius Comanns, an already award-winning designer who lives in Germany and studied industrial design at the University of Applied Sciences in Munich and product design at the Royal College of Art in London, took second place with his simple but beautiful Water Lily design, which was obviously inspired by nature. The 3D printed pasta that won third place, created by Italian designer Marco Ferrarin, also took its inspiration from nature. His pine cone-shaped Pignabarilla calls to mind his hometown surroundings of the Dolomytes, which he calls “the most beautiful mountains in the world.” The contest page also states that this pasta has walls which offer the perfect thickness for cooking. 3DPrint.com congratulates the winning designers, who will each receive a prize of €1000. Now, please excuse me while I go make a reservation at the nearest Italian restaurant, because I suddenly have a massive craving for some risotto. What do you think of these 3D printable pasta designs? 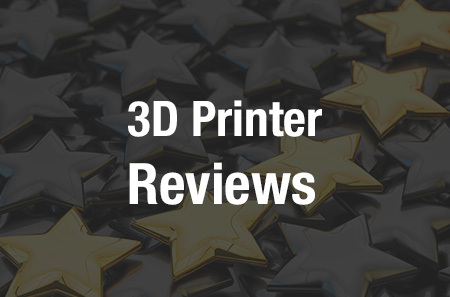 Let us know your thoughts on this and other 3D printing topics at 3DPrintBoard.com or share in the Facebook comments below.